February 17, 2018 by JC's Village C.C.M. What question is God asking you? And why would He ask except because He loves you so much? I'm not Jewish and I didn't grow up Jewish - but I have come to appreciate that in scripture and books I've read on Judaism - there is a great love of questions. The questions seem to teach so much more than the answers. Perhaps I love this because I'm full of questions. But perhaps I love that God poses questions to those He loves. So - today's post isn't as much about a specific verse - as much as it is this aspect of God's relationship to us. God posed this question to Solomon in 2 Chronicles 1 "Ask for whatever you want me to give to you" - but there are so many other people it seems possible God asked this of. 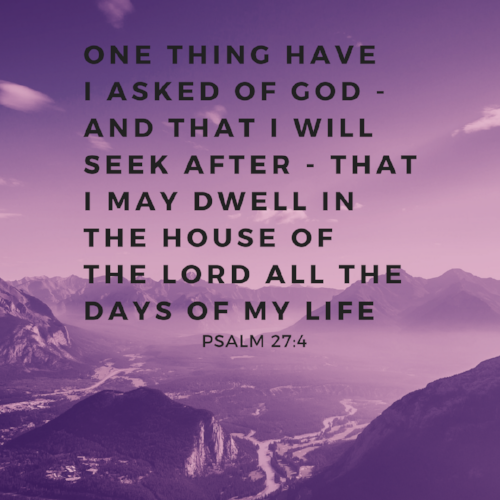 I believe David's answer to this question can be found in Psalm 27:4 - unlike Solomon who asked for wisdom - David asked for God Himself. Elijah asked Elisha what he wanted - and while that's not directly out of God's mouth - the prophet's job was to speak for God and I doubt Elijah posed this question independent of God's direction. In 2 Kings 4 Elisha pays it forward and offers the same question to the Shunammite woman - granting her a son - and then raising him. There are other accounts besides these. Jesus did this as well - allowing people to find Him - stop Him - and stand before Him. He'd ask them "What do you want?" (Mark 10:51) Jesus said those words to James & John's mother - and though He couldn't fulfill her request - He heard her and answered. We too - will not always get what we ask for - but we will never be ignored. And it's a heck of a thing to even be in such a conversation. In all these accounts - David is still the only one who's answer to God's question - is that He wants God Himself. Despite this - none of the other questions are diminished or rebuked. God dignifies us with His attentiveness. So - I'll ask again - what question is God asking you? February 17, 2018 /JC's Village C.C.M.